The Governance Academy is a self-paced instructional online course that can be completed individually at your own pace or viewed as part of a collective board training. Designed specifically with governing board members in mind, but useful for the entire leadership team, CSDC’s Governance Academy is a series of short instructional tutorials that discusses everything from the Ralph M. Brown Act, to the roles and responsibilities of board members and school administrators, to the alphabet soup of acronyms that make up the common vernacular of education policy, and much more. 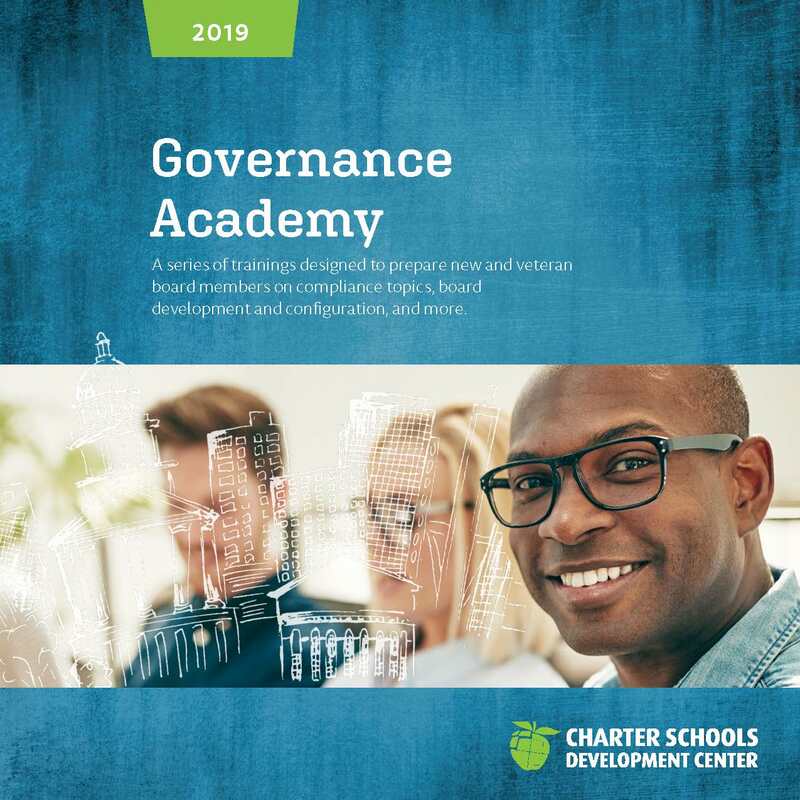 CSDC’s Governance Academy is delivered mostly through online, self-paced videos and quizzes that allow charter school board members to learn at their own pace. These courses can be augmented with CSDC’s Board Member Training, an intensive 1-day in-person workshop allowing board members, new and experienced, to work together, be briefed on governance-related concerns, and to have the opportunity to do more hands-on learning with CSDC’s staff. Members who participate also receive access to CSDC’s unique charter schools resource directory, which includes invaluable sample policies and materials for governing boards to consider amending and adopting. Governance Academy participants are also encouraged to attend the Charter Schools Leadership Update Conference, which takes place every fall. Each conference offers an extensive variety of workshops and breakout sessions that can help to augment and update a board member’s understanding of their roles as charter leaders, their understanding of the Brown Act, while providing a preview to new California laws. This module covers all the basics, from the best practices in board member on-boarding to a basic understanding of the “power” a governing board has in charter school leadership. The education community speaks its own language and often talks in acronyms. This module provides a basic translation for the most commonly used education vernacular. Charter schools were created by the California Legislature and are subject to new laws and changes every year. In this module, board members will gain an understanding of the role of the Legislature in governing charter schools and of how charter leaders play a part in impacting the Legislature. A difficult part of governing a charter school can be understanding the difference between governance and management. This module walks board members through traditional divisions of duties and clarifies some best practices. The majority of a charter school’s budget is spent on personnel costs – both salary and benefits. Governing board members need to have a basic understanding of issues like PERS, STRS, and labor negotiations in order to make educated decisions. This module provides a framework for those discussions. Have you ever wondered how California charter schools came to be? This module gives a basic understanding of the past 25 years of charter school history and asks some important questions about the future of chartered schools in California. CSDC will use the information provided to verify your CSDC Membership status, as well as to create an account for you to view the Governance Academy course. CSDC Members will receive account and login instructions within 24 hours of completing this registration form. Download our latest brochure to learn more about Governance Academy.